In 2016, watching the NFL’s biggest game without cable TV will be easier and better than ever. Still, the live stream won’t necessarily be the best way for cord cutters to watch the game. Depending on where you live, and how ambitious you are, an old-fashioned antenna can still work wonders. I’ll walk through a few options for watching Super Bowl 50 without a pay-TV subscription, along with the upsides and downsides to each. 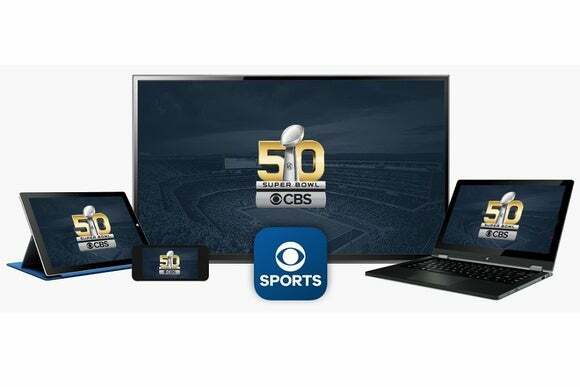 To live-stream Super Bowl 50 on a television, all you need is the CBS Sports app, which is a free download on Xbox One, Roku, and Apple TV. The app will also arrive on Amazon Fire TV devices some time this week. 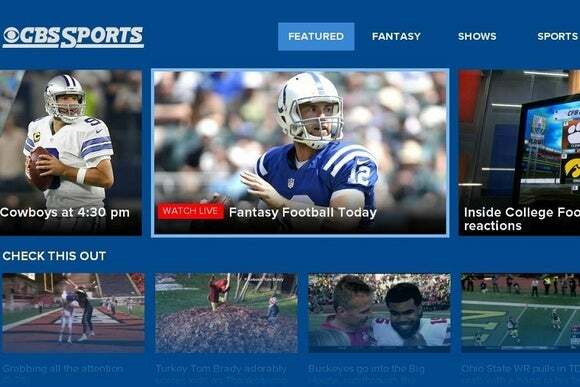 Chromecast users should be able to Cast the game on the big screen using the CBS Sports app for iOS or Android. The game will be streaming on CBSSports.com as well, so you could always just plug a laptop into the television via HDMI. Roku will be one of several TV platforms supporting CBS’s Super Bowl live stream. This year also marks the first time the Super Bowl live stream will include all the same commercials as the main telecast. Granted, most of those ads are now being spoiled well ahead of time on YouTube, but at least your party guests will feel like they’re getting the full Super Bowl experience. On the downside, the CBS live stream won’t support pausing or rewinding, and it’s anybody’s guess whether the stream will keep up with demand. Don’t be surprised if guests blame you, and not CBS, for any buffering or downtime. Provided you live within range of a CBS broadcast station, an antenna is your best bet for watching Super Bowl 50 without cable TV. An indoor antenna with 25-mile range costs as little as $15, and can provide silky smooth video with resolution better than any Internet stream—and in true high definition to boot—for free. (Antennas with longer range are also available, as are amplified antennas that can help with a home’s more troublesome reception spots.) Most modern TVs have a tuner built in, so you shouldn’t need any additional equipment beyond the antenna. To find out what antenna range you need, head to TVFool, enter your address, and check the distance of the nearest CBS broadcast station. Once you have an antenna that fits your needs, plug it into your TV’s coaxial input and run a channel scan through your TV’s settings menu. 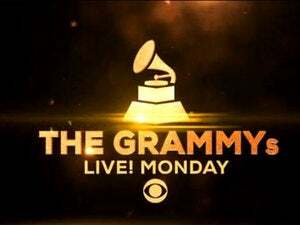 Just make sure to check on the broadcast well ahead of the Super Bowl’s 6:30 PM EST kick-off to avoid any last-minute snafus. If you really want to impress guests with your cord-cutting prowess, try adding DVR-like pause and rewind features to the basic antenna broadcast. There are several ways to accomplish this, and while they’re all more expensive and complicated than the previous two options, you’ll be able to rewatch crucial plays and the best commercials at will. The simplest setups will involve a DVR box that sits between your antenna and the television. These include the TiVo Bolt ($300, plus $15 per month after one year of DVR service) or the Channel Master DVR+ ($400 with built-in storage and no service fees). If you have an Xbox One console, you can also buy the $60 TV tuner accessory, and while this doesn’t support full DVR, it does allow up to 30 minutes of time-shifting on live TV. 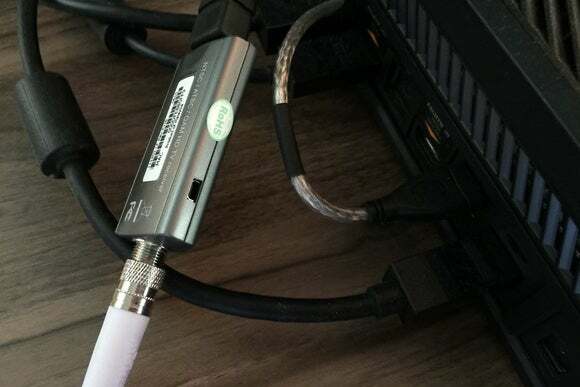 The Xbox One’s TV tuner connects an antenna to the console for live and time-shifted broadcasts. 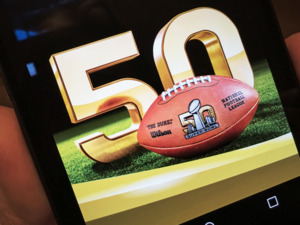 With the Super Bowl just a few days away, you’ll need to get a game plan in order quickly. Feel free to drop questions in the comments, or find me on Twitter if you need more help getting things ready.